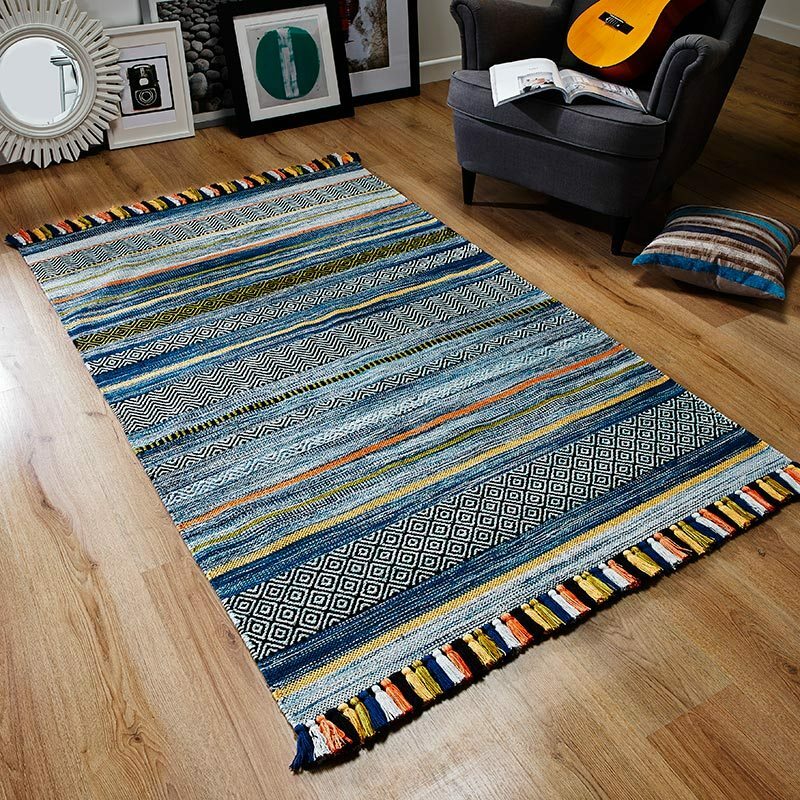 Introduce excitement to your room with this Tropics Rug 6097 in black, blue, beige colours and give your floor a delightful floral look. Botanicals look great in any floor area with visuals that blossom with character and charm. The colour and design benefits from a little extra shazam thanks to silky Viscose fibres being woven with Heatset Polypropylene – to provide the all important ‘wow factor’.